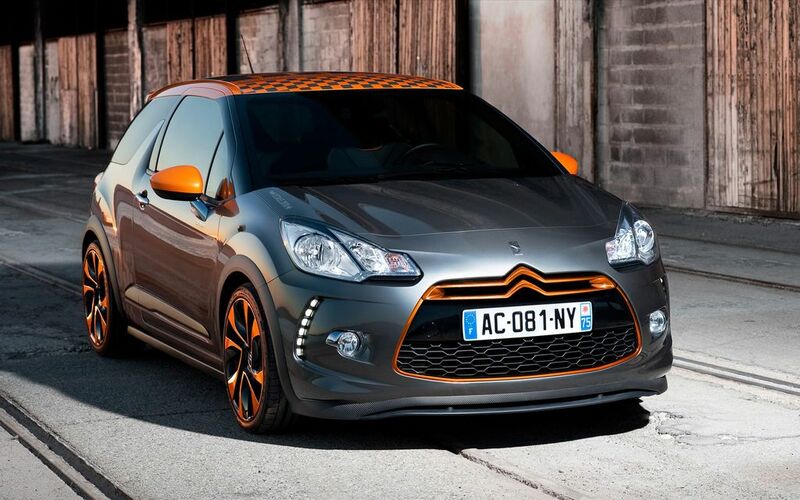 Citroën is unleashing a hot new DS3 at the Geneva Motor Show - the limited edition 200hp DS3 Racing. Developed by Citroën Racing - the winning team behind five WRC manufacturer’s titles and six driver’s titles for Sébastien Loeb and Daniel Elena - DS3 Racing is a special edition with a 100% sporting pedigree. 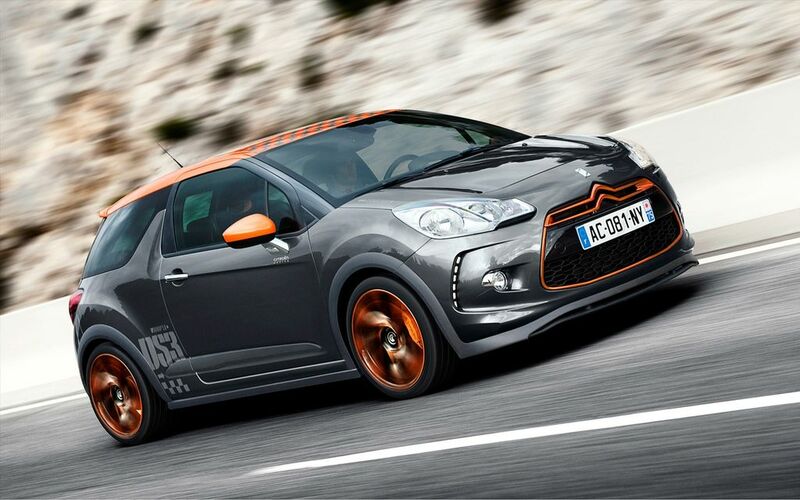 Planned for the second half of 2010, the exclusive DS3 Racing will be limited to just 1000 production units. With integrated carbon-trimmed components and specialist motorsports equipment, DS3 Racing’s tuned and turbo-charged 1.6-litre THP 150 engine develops 200hp - a power increase of almost 30% over the standard unit - with a torque increase of 15% from 240Nm to 275Nm. To achieve the additional power output, from 156hp to 200hp, Citroën Racing’s engineers modified and optimised the powertrain components, tuned the performance of the turbo and adjusted the mapping of the engine control unit. A special tail pipe and muffler were also added. 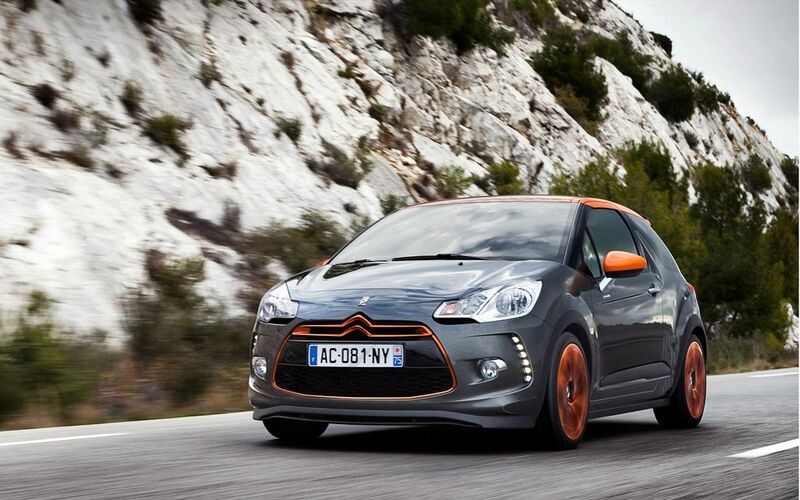 Allowing DS3 Racing to stick to the road, the car has undergone some significant sporting enhancements. The steering has been made even more precise, with the control system modified for the new tyres. The fitment of stiffer suspension springs, adapted front and rear shock absorbers (to handle the increased power), and the widening of the front and rear tracks by 30mm - plus lowering the car by 15mm - all dramatically change the driving dynamics. These important developments reinforce both the stability and dynamic control of the car, and enhance the feedback between the road and the driver. The braking system has also been up-rated to ensure control over the car’s additional horsepower. The front wheels get 4-piston racing callipers and special disc-brakes - with drilled discs at the rear. For enhanced control, the ESP has been adapted to complement the sportier handling, but can be disengaged according to the driver’s preference. 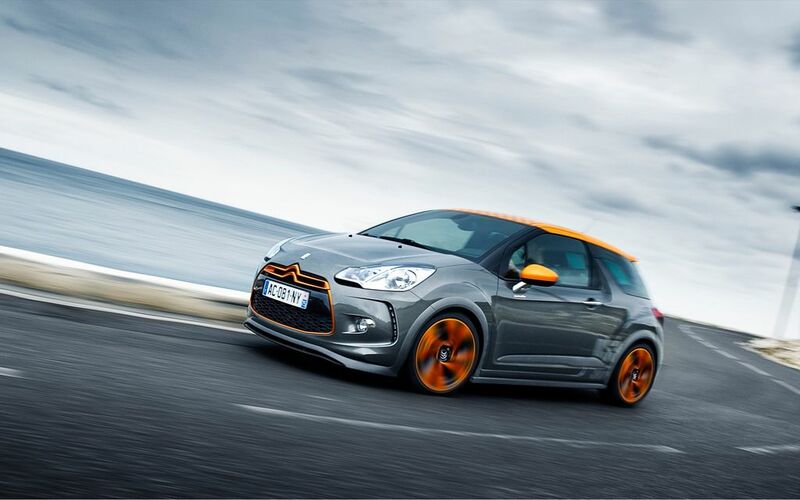 In addition to the distinctive, radical styling of DS3, the new Racing edition inherits Citroën Racing’s expertise in motorsport design to provide advanced technological and stylistic sporting prowess. The preview model, to be presented at Geneva, is in a special livery and features sporty ‘DS3’, ‘Citroën Racing’ and chequered flag graphics on the roof, in front of the rear wheel arches, under the side mirrors and next to the fuel cap. 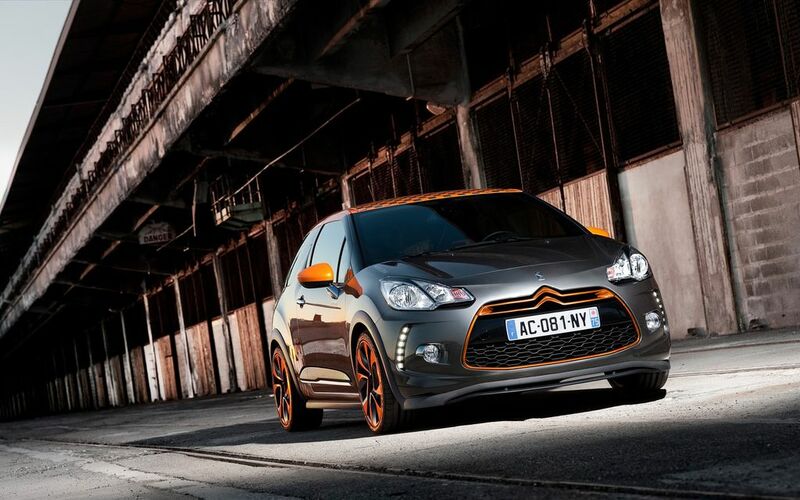 Measuring 3.94m long, DS3 Racing’s dark grey body is tastefully contrasted with a vibrant, bright orange-coloured roof, side mirrors and brake callipers. The alloy wheels and front grille surround - with integrated chevrons - are finished in orange chrome. A sporty carbon finish is used around the front bumper, lower body trim and wing extensions, whilst large 18” alloy wheels, chrome door handles and even a chrome-finished exhaust complete the dynamic styling. 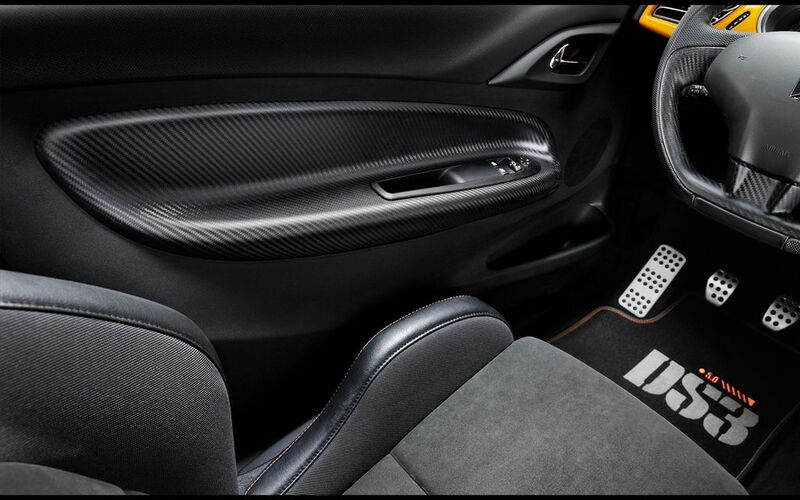 Inside the cabin, smart carbon trim adorns the dashboard, centre console, steering wheel embellisher, armrests and door side mouldings. 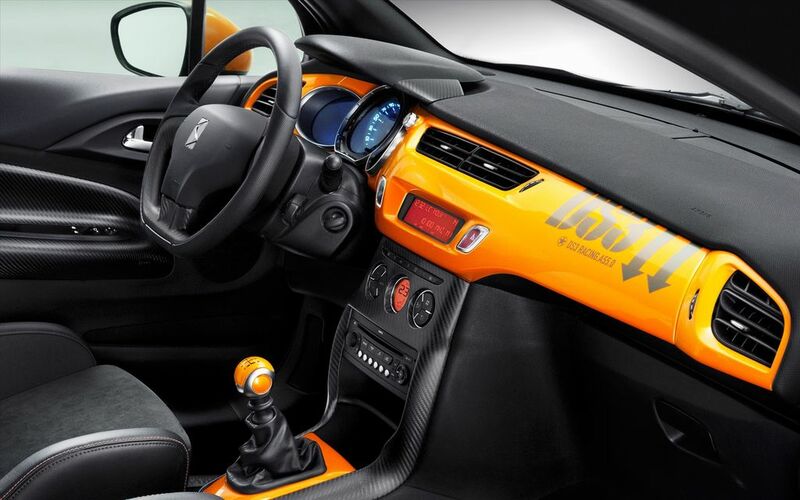 The vibrant orange bodywork and decals continue into the cabin with the glossy strip of the dash, gear stick and gear stick surround finished in the same bright tone. 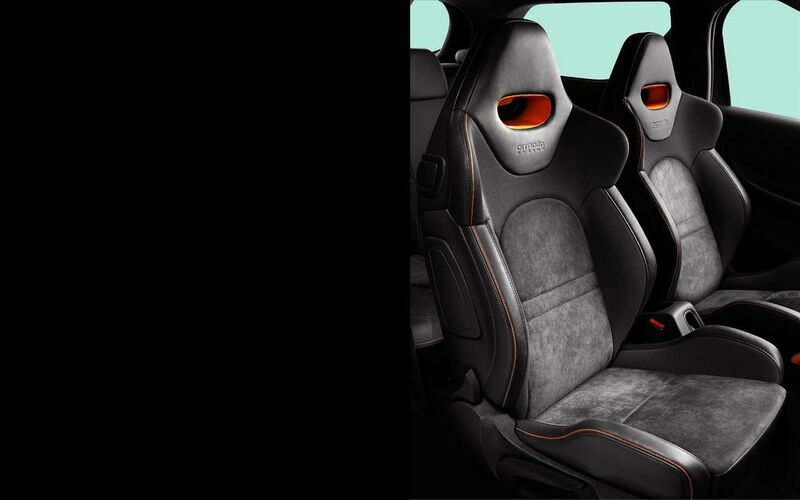 The sporty, figure-hugging seats are also touched with orange elements and are embossed with ‘Citroën Racing’. A DS3 Racing signature on the rear tailgate and an individually numbered identification plate fixed to the roof-lining further confirm the model’s exclusivity. On the road, DS3 Racing’s WRC pedigree is evident. Benefiting from Citroën’s extensive knowledge of racing dynamics, a carbon-finished air diffuser stabilises the car at high speeds, whilst the chassis and suspension have been adapted to provide even more precision, control, sportier handling and swifter cornering. 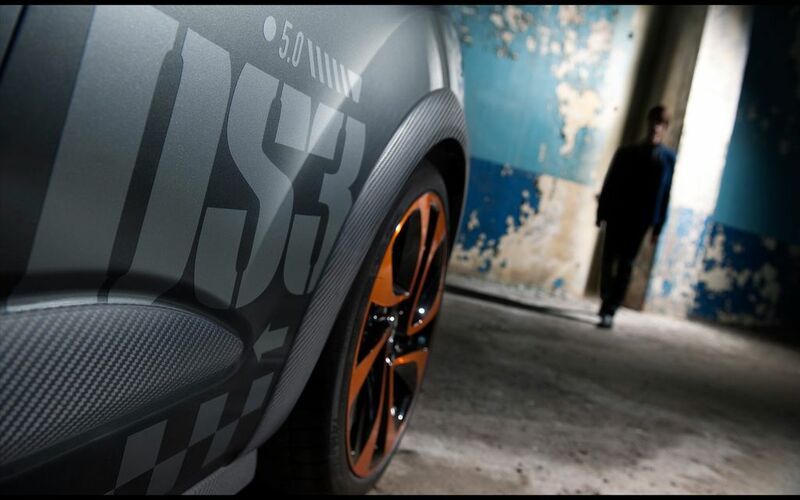 Based on the existing DSport powered by the THP 150, production Citroën DS3 Racing editions will be finished in a special workshop and fitted with a parts kit developed according to Citroën Racing specifications.